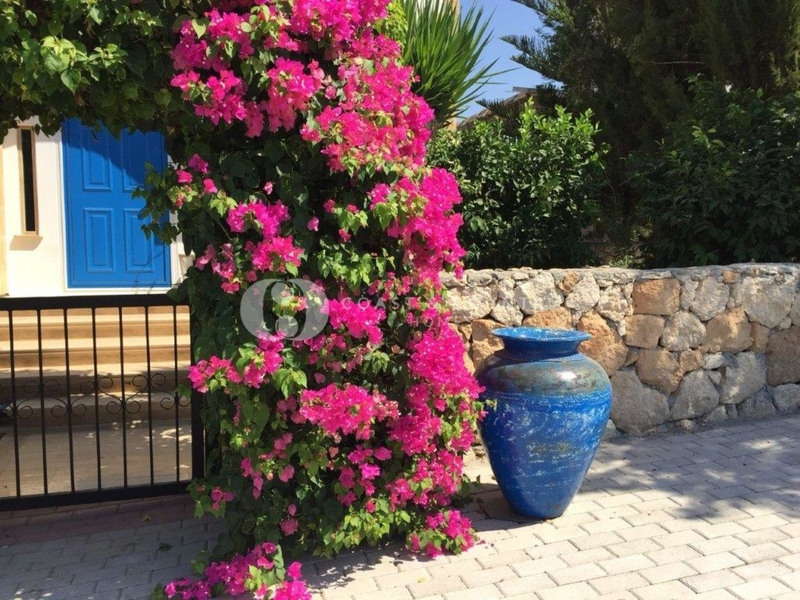 We are pleased to introduce this impeccable private resale property, on the outskirts of Kyrenia in the well known Catalkoy seaside. 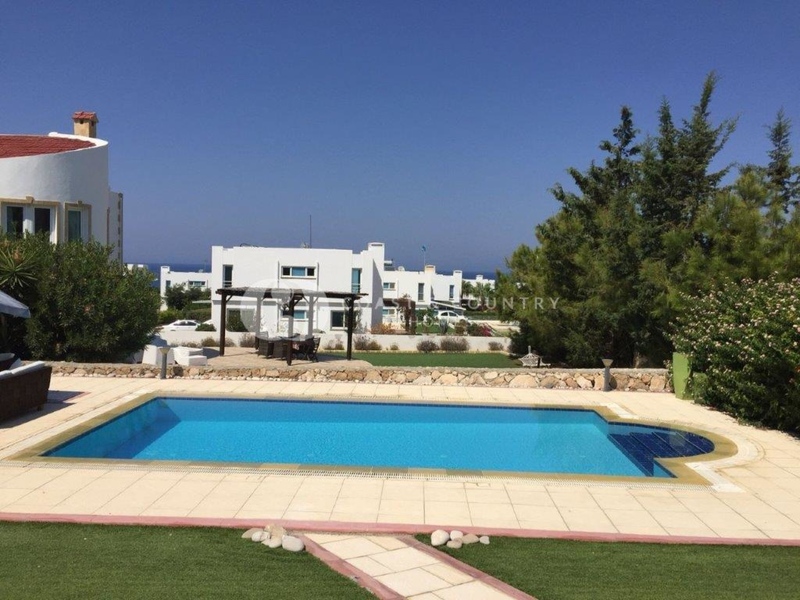 Catalkoy is home to Shayna Beach Club, 12 from the luxury Korineum Golf Course, and just 5-10 minutes to Bellapais and Kyrenia center, making it the perfect relocation or investment property. 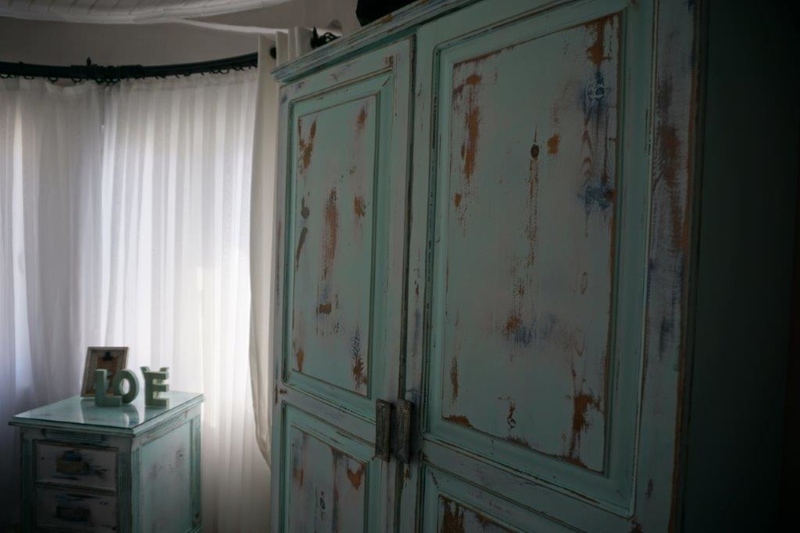 'The Blue Door' home is located on a no through way road, safe for children and offering a quiet and peaceful atmosphere. 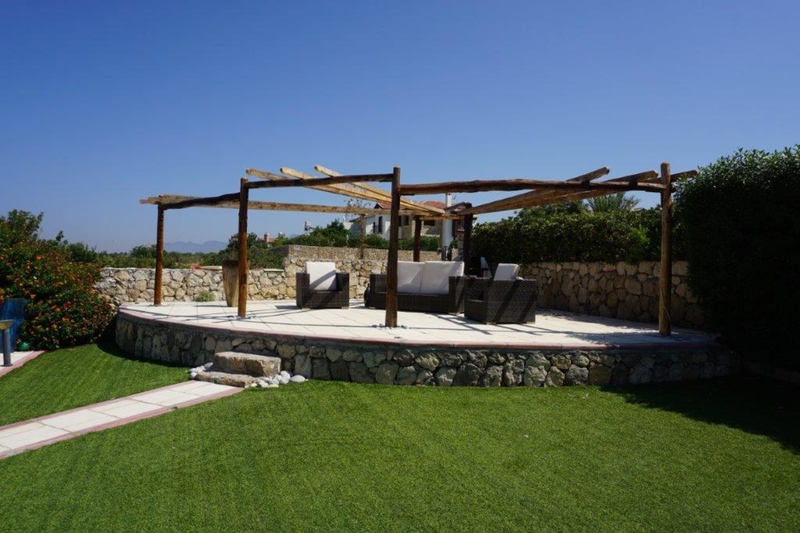 The plot itself offers ample outdoor space, with high quality garden grass, a beautiful elevated terrace with a newly built traditional wooden pergola, and of course tiling around the pool for plenty of lounge chairs and BBQ area. Additionally, there is a covered garage to store your jet ski, with entrance to the sea just steps away! 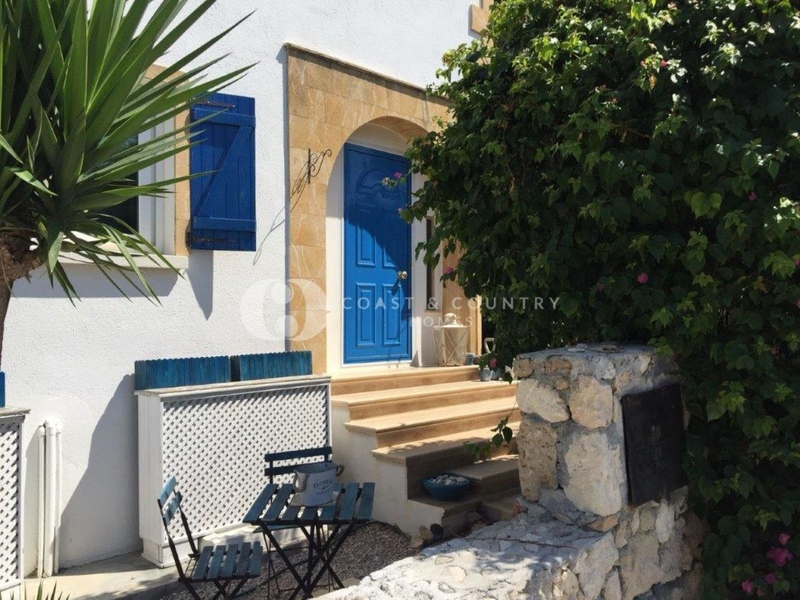 With a stunning blue door entrance and recently extended foyee, the home offers a nice landing area private from the main sitting rooms. 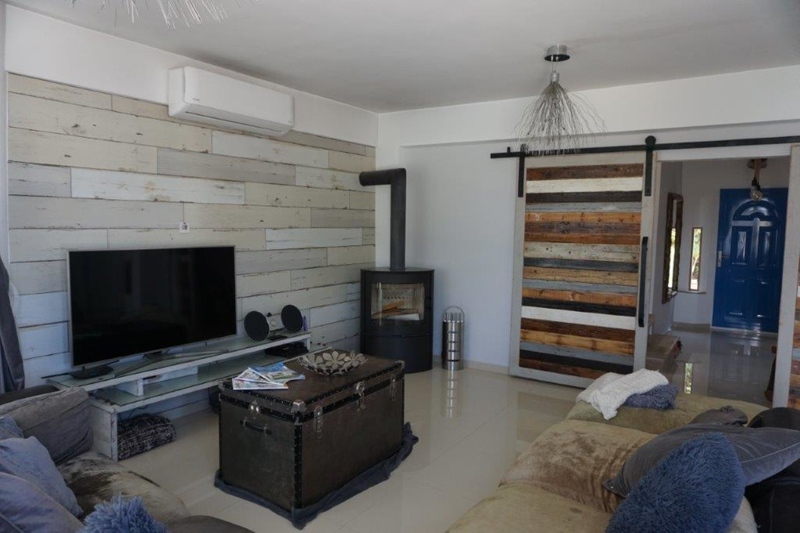 Beautiful hand made wooden sliding doors make an impressive entrance to the open plan living and dining room, where you will find newly ceramic tiled flooring, a modern black iron stove oven which heats the whole property in the winter, as well as bay windows looking out to the yard. 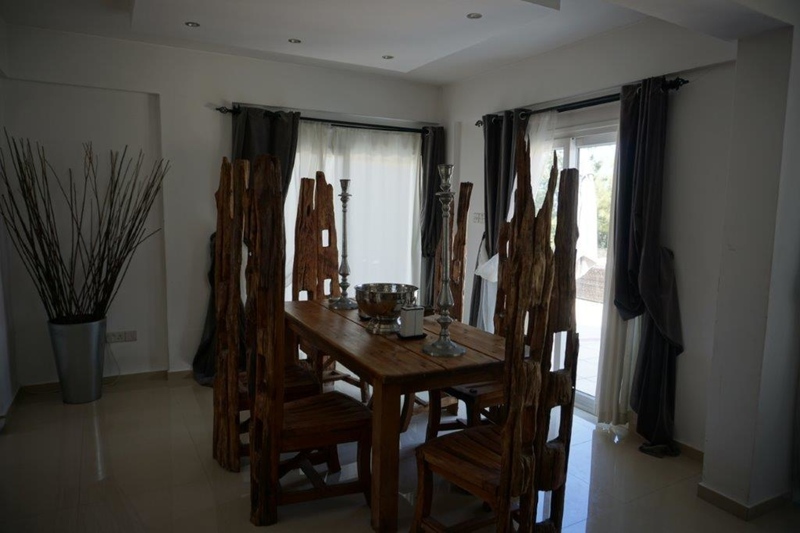 The dining room boasts a stunning wooden dining set from the UK, adding to the coastal feel of the property. It has sliding door access to the pool area, perfect for BBQ and serving. 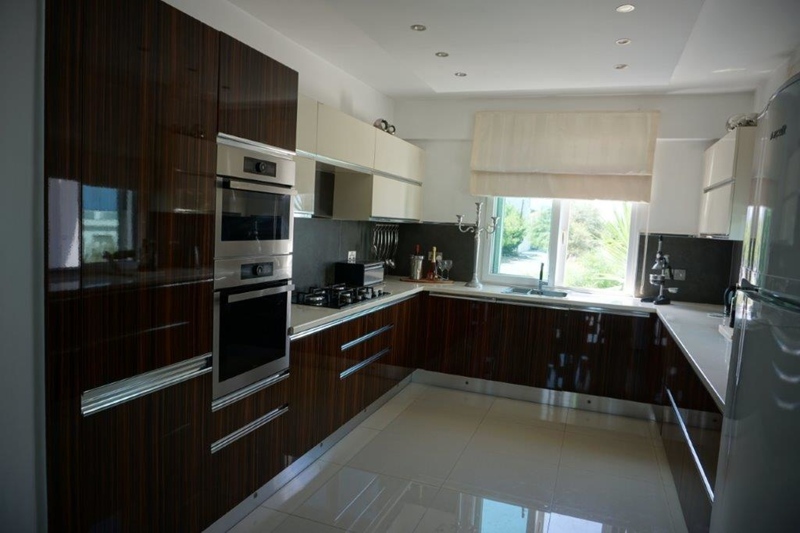 Last year a brand new high gloss kitchen was professionally installed with high quality Whirlpool white goods. The brown ./ beige tones of the kitchen blend beautifully with the atmosphere of the home. There is under cupboard lighting installed and the kitchen includes the dish washing machine, microwave, oven, fridge/freezer and all high style newly installed taps and accessories. Finally, on the ground floor you have a brand new guest WC, with a stylish hand made sink fitting from real wood. 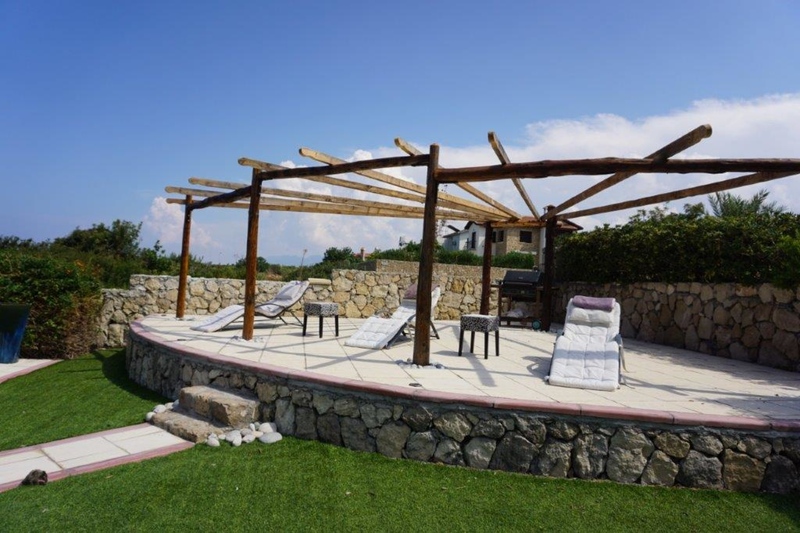 The recently added marble floor staircase takes you to the first floor of the villa. Upstairs you will find 3 double bedrooms, one family bathroom, and a master bedroom with private ensuite. 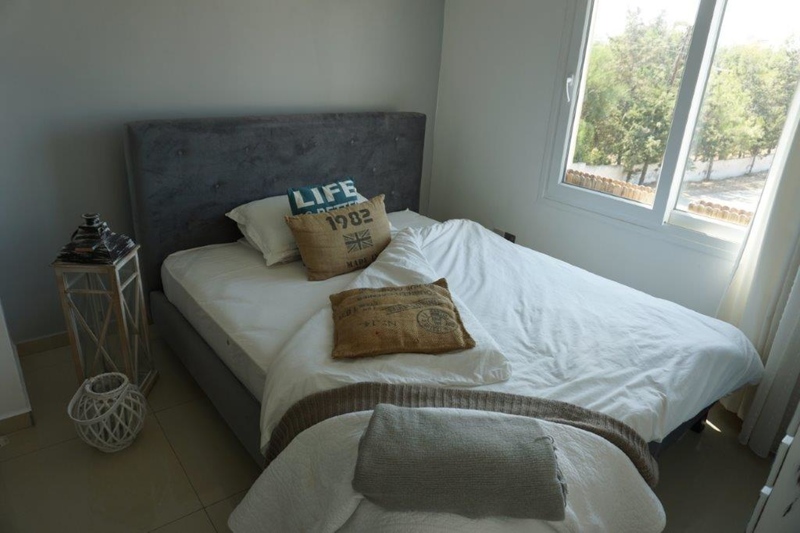 The master bedroom has been stunningly renovated top to bottom with white wooden ceiling, a Cypriot style wooden canopy bed and beautiful wooden white washed furniture. Its truly a sanctuary for any couple. 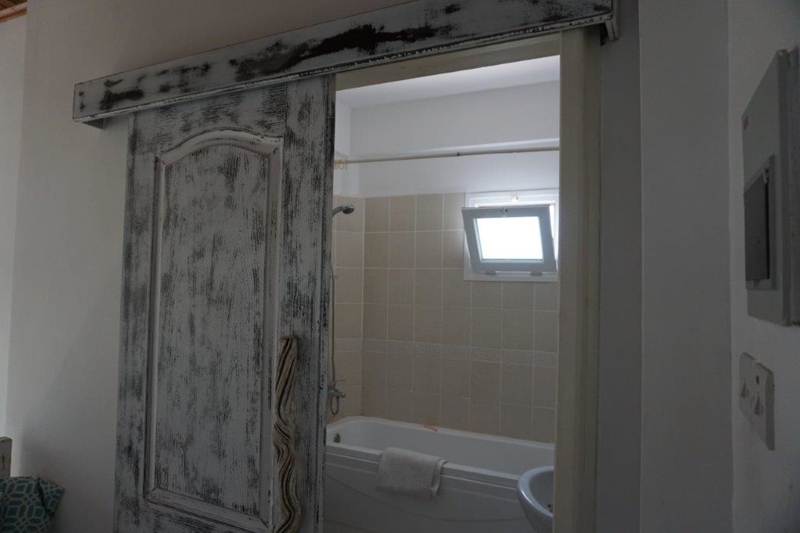 The ensuite has been recently renovated and is fully tiled with stylish choices. 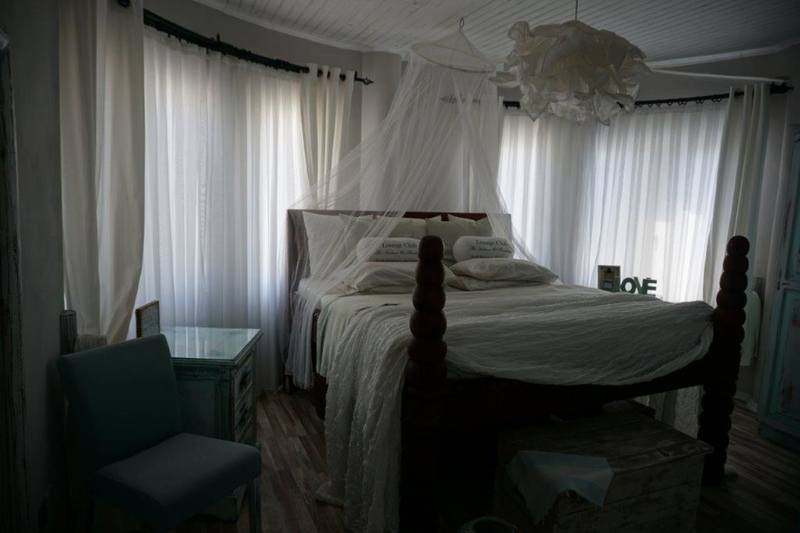 The two other bedrooms also have built in wardrobes and windows to sea and mountain views. 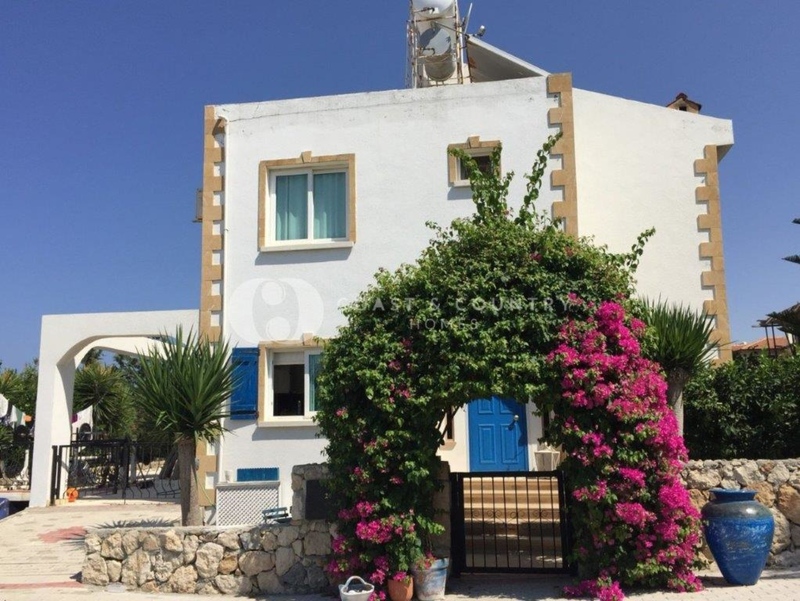 This villa is truly a must see, with personal care, renovation and upgrades making it a TURN KEY property on the Med at a great price.